Express entry System of Canada has been in news and debates in the year 2017 among the Canadian immigration aspirants for various reasons. The first and foremost reason was the huge Express Entry draws in terms of number of invitations issued to the registered applicants for the permanent residency in Canada. In almost every draw this year, the Immigration Refugee and Citizenship Canada (IRCC) invited over 3,000 candidates to apply for Canadian PR visa. The record reduction in the qualifying marks or CRS Score requirement this year also remained a point of discussion among the Canada immigration aspirants. Apart from this, the express entry streams of the various Provincial Nominee Programs (PNPs) also kept the federal express entry system in news since the beginning of the New Year 2017. Is every Applicant for Express Entry received ITA this year with reduced Qualifying Marks? 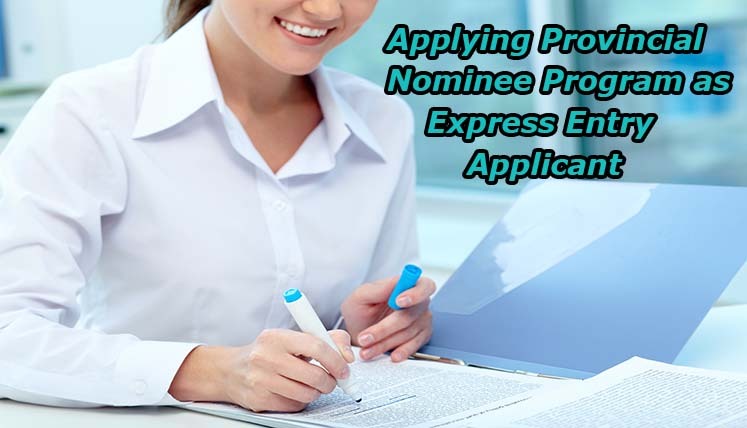 When should an express entry applicant look for applying in a Provincial Nominee Program? Well, one may say that the answer is simple, i.e., when express entry draws, are not going your way. However, there are a few aspects that you must consider before taking a decision to apply in a Provincial Nominee Program. If you are a registered applicant in the Express Entry System, always keep an eye on the upcoming Express Entry Streams of the key Provincial Nominee Programs, i.e. OINP, SINP, NSNP, etc. For instance, if your CRS score is above 400 and expresses entry stream of OINP or SINP, etc. Provincial Nominee Programs is about to open in few weeks, it’s wise to wait for the EE stream, instead of rushing to any other immigration program. Also, ensure that you have selected the option of ‘All Provinces and Territories’ as a preferred destination to live in Canada in your express entry profile. First of all, review your current point score in terms of ongoing requirement of Comprehensive Ranking System (CRS) score from Immigration Refugee and Citizenship Canada (IRCC). If there is a big gap in your current CRS Score and requirement from IRCC, it’s wise to go for PNP instead of keeping your fingers crossed in every draw and expecting a miracle to happen. If your CRS score is not far behind the qualifying marks and current Express Entry draws indicates the falling trend in the CRS score requirement from IRCC, it would be good to give your EE profile a little bit more time for obtaining an ITA (invitation to apply) from Express Entry. If you are applying through an experienced and reliable Canada immigration Consultant, you get all such guidance from your consultant only, which in turn helps you obtain your ITA in the minimum possible time.